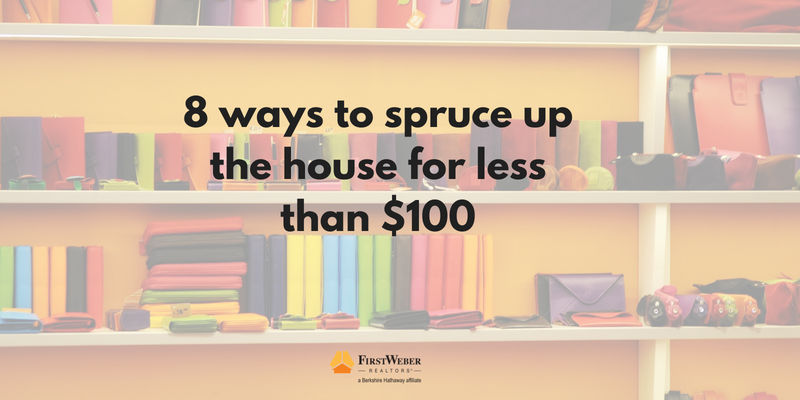 8 ways to spruce up the house for less than $100. Fixing up your house does not have to be comprised of expensive, messy major projects. Sometimes all it takes is a little time and effort. Here are 8 ideas to improve the look of your home for less than $100 — or no cost at all but your time.